Nick Higgins plans to use his experience with Maine Mead Works in Portland as a springboard for his law practice. The food world is filled with stories of bankers and lawyers and managers of corporations ditching the rat race to pursue their culinary dreams. For some, it’s brewing craft beer in their garage. For others, it’s making artisanal cupcakes or hot sauce. Nick Higgins is going in the opposite direction. Higgins, the former head mead maker for Maine Mead Works in Portland, left his food career behind to go to law school. Higgins will enter his third and final year when classes begin again on Aug. 28. Higgins hopes to eventually use his experience as a mead maker to help other food and beverage entrepreneurs with the kind of legal issues that pop up while trying to start a food company. He spent the last couple months as a summer associate at Bernstein Shur in Portland, writing research memos and doing a required pro bono fellowship at a legal nonprofit, the Conservation Law Foundation. The position is like an extended job interview. Bernstein Shur has a food-and-beverage practice that represents, among other clients, the Maine Brewers Association. The firm’s lawyers help small, startup companies occupying this niche to get their brands trademarked, raise capital, and set up their corporate structure, according to Patrick J. Scully, CEO of Bernstein Shur. Higgins, 32, studied sociology at the University of Southern Maine, but confesses he “didn’t have much direction” at that point in his life. After graduation in 2008, he went to work in a financial office in Portland. Higgins’ cousin, Ben Alexander, had opened Maine Mead Works in 2007 with a business partner, Eli Cayer (who now owns Urban Farm Fermentory), in a 600-square-foot garage on Anderson Street in Portland’s East Bayside. Higgins had never even heard of mead when Alexander offered him a job in 2009. He became the company’s first employee. “I’d always enjoyed cooking and experimenting with flavors, and the idea of making an alcoholic beverage seemed very interesting to me,” Higgins recalled. Higgins learned the basics of making mead on the job. Back then, the company was making “maybe 50 gallons a week” and most Portland-area stores had no mead on their shelves at all, much less locally made mead. Some people, when they met Higgins, thought he was a butcher. Today, according to Alexander, Maine Mead Works operates out of space 10 times the size of the Anderson Street location, and produces 600 gallons of mead per week. According to the American Mead Makers Association, the number of meaderies in the country grew from about 30 in 2003 to 200 in 2013. As of 2016, there were nearly 300 meaderies in the United States, and 50 wineries and breweries had at least one mead in their product line-up. Higgins says he had a lot of fun as a mead maker, recalling, for example, the time he was aging mead in bourbon barrels. “I remember waking up every morning and being excited to run down to the meadery and try a sample,” he said. He also remembers the thrill of being awarded a gold medal for the first time at the Mazer Cup, the premier mead competition. But the business had its downsides: late nights, lots of cleaning and sterilizing, floors and fixing broken equipment. Higgins also witnessed firsthand the stumbling blocks that come with developing a new business – the kind of problems he would like to help other small businesses avoid when he starts his new career as a lawyer. For example, no one wants to pay to print labels for bottles of mead – or wine or beer – until their label has been approved by authorities from the federal Alcohol and Tobacco Tax and Trade Bureau. But that can be a tricky process that takes a long time, Higgins said. He’s not kidding. 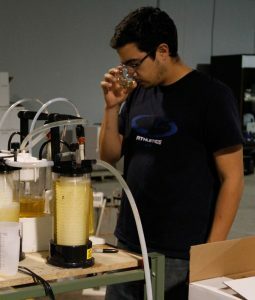 Because of a slow approval process, the meadery wasn’t able to release its celebratory fifth anniversary mead until a year later. Formula – or recipe – approval could also be problematic, Higgins said. For example, if Maine Mead Works wanted to use a specific type of green tea in a mead, it was better to just call it “tea” in its formula because that allowed them the wiggle room to switch to another type of tea if need be. And instead of spelling out that they were using 50 pounds of green tea per batch of mead, they learned to say five to 75 pounds instead. “That way, you get that approved, and then you can still vary your recipe the way you want it,” Higgins said. Another delicate area is choosing a distributor. Most small food-and-beverage entrepreneurs either don’t think of hiring a lawyer, or they think it’s too expensive. But Higgins believes that consulting a lawyer could save small businesses a lot of money in the long term. As Higgins approached age 30, he began to reassess his life. 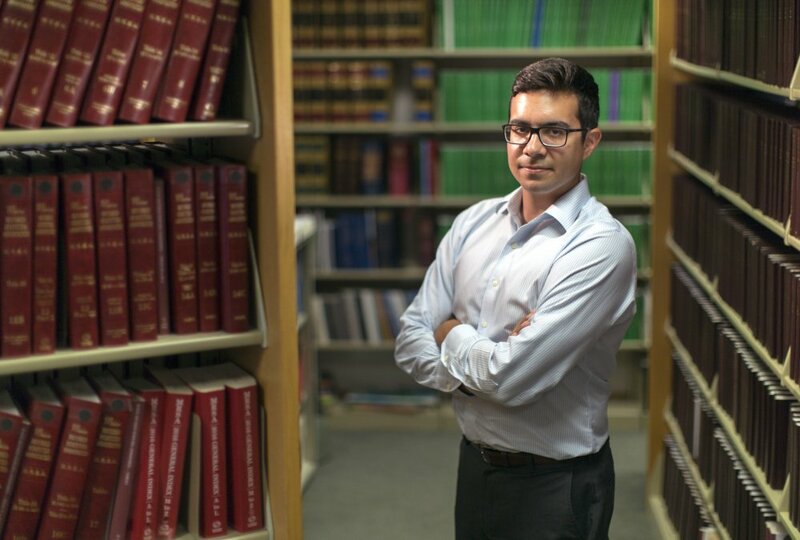 He enjoys school and loves to learn new things, and “I really wanted to develop the skills and the tools to help other people.” It didn’t hurt that law schools were offering more scholarships to counter dips in enrollment. Being a mead maker and part-owner of a meadery in its early stages is not exactly lucrative, Higgins said, although he said money was not the driving force in his decision to make a career change. Alexander still remembers how nervous his cousin was to tell him he’d be leaving to go to law school. Higgins believes the life skills he learned at the meadery have helped him in law school at the University of New Hampshire: Self-motivation. Time management. Organizational skills. Creative problem solving. Working under strict deadlines. He still retains part ownership in Maine Mead Works, and he’s visited there a few times this summer.